Last Week Joe Schrock of TIP TOP Window Cleaning announced his arrival by knocking lightly on my door. I spotted his truck on my driveway. I had contacted Joe about cleaning the windows at our new house. 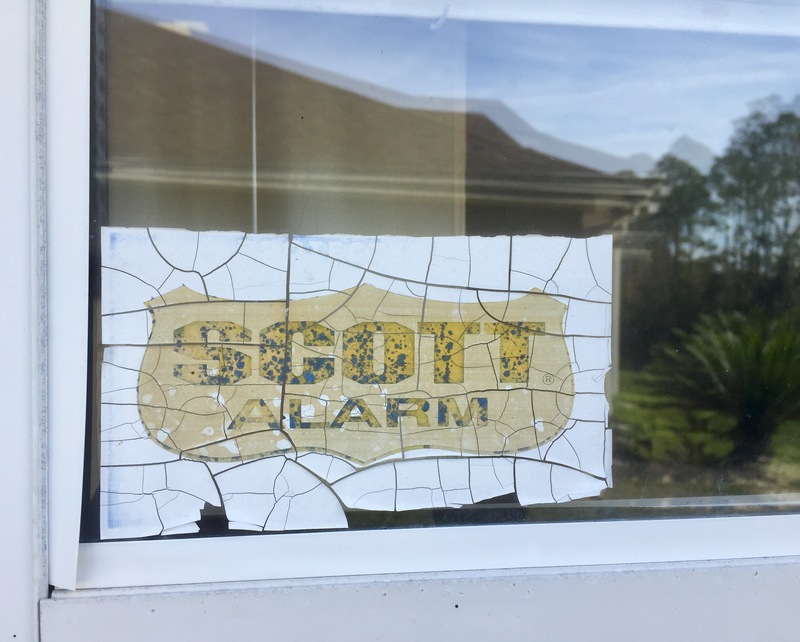 They were dirty when we moved in and got even worse when wind-whipped rain lashed the panes during October’s hurricane Matthew. The name Schrock sounded Mennonite to me, or at least Pennsylvania Dutch. “I bet I can find it on the Internet.” I walked over to my laptop resting on the kitchen island. There it was: Home page of The Budget newspaper with a close-up view of a goat with a big-eared welcome. There was a pause. “Golly, I had no idea the Amish did computer stuff!” he smiled. Later he told me, “I was born in Miami but have lived in Jacksonville, Florida, for a long time. I started my window washing business in 1982. 1. Right Equipment He came with all the right tools, chemicals, buckets, and squeegees. I detected a faint whiff of tobacco. 2. Fair price His price appeals to the budget conscious. He was at my house for six hours and presented me with a bill that looked like it came from the 1960s. I gave him a nice tip. 3. 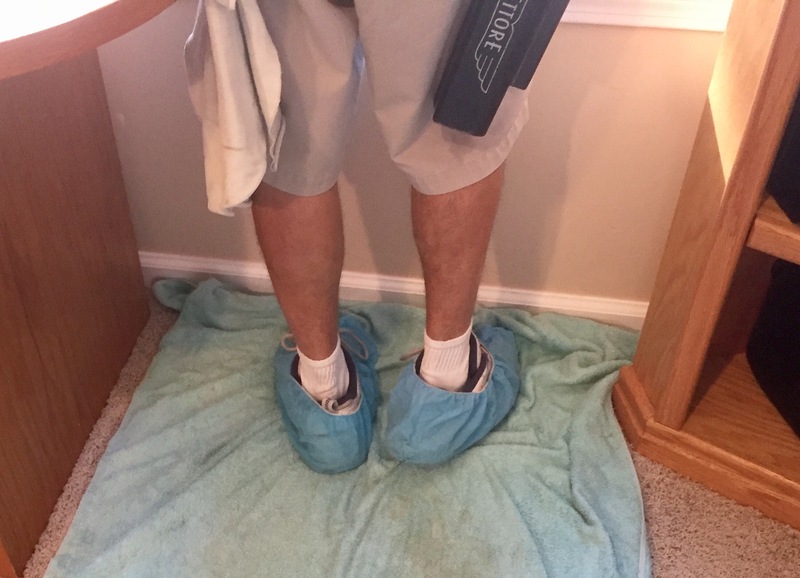 Cleanliness As soon as he walked into my house, he put on blue booties and never tracked in any dirt. 4. Thoroughness He went far beyond what was expected. I gave him the green light when he suggested that he could scrape off an old security company sticker. “It’ll come off just like that,” he predicted. Of course it did! 5. Pleasant He didn’t whistle while he worked, but I believe he could have. 6. Strong work ethic He kept at it until he was done. He didn’t take any breaks although I would not have minded if he had. I know some sloppy Mennonites; maybe you do too. A few may be lazy, but probably not many. And you certainly don’t have to be Mennonite or Amish to uphold integrity in the workplace. Or appreciate fine workmanship. Even so, I’m glad my first-ever encounter with a window washer (Yes, I’m frugal!) gave me clearer vision: clean windows and a re-visitation of the values of my own ancestry. As the new year begins, I need some sparkle in my life. Clean windows did it for me. How about you? Are you anticipating anything sparkly in your new year? Oh Marian, how very fun to wake up to this today. When I first read about your Joe, I immediately thought of Ed Schrock, someone I knew during my Ohio era. And I\’m a KSU grad, you know. And, as I read further and saw you mention that Mennonites had settled in Paraguay, I recalled one of the many papers I\’d written while at NYU as an undergrad: Mennonites of the Paraguayan Chaco. I still have it stored away. Thanks for the nice memories. Now if I could just place Ed Schrock a bit more clearly . . .
Ah, yes, Janet, you did mention Kent State during one of our visits. Now I wonder about Ed\’s lineage, probably some good German-Swiss blood flowing in his veins. If you ever come across that undergrad paper on Paraguayan Mennonites, I\’d be interested in your findings. (See, hoarding is not always a bad thing!) I\’m curious about whether motivations beyond arable soil drew them to this particular country. I could research it now, but perhaps someone will share information in our conversation here. You get the prize for first responder today, Janet! It is always gratifying to get a job well done at a fair price. I felt exactly the same when I had my new bathroom installed. 10 years later and it still looks great. Enjoy your views! Great, Fatima! Good work speaks for itself. Word of mouth, which good work inspires, is the best and most inexpensive advertising. We do enjoy the views; now I wonder why I waited so long. And now I\’m a little shocked that you didn\’t know about The Budget. Perhaps Pa. Amish/Mennonites didn\’t follow The Budget like folks in Indiana did/do. And perhaps I didn\’t really know about the paper in my high school and college days, but I think my friends and neighbors in Indiana in the 60s talked about it. It comes to our offices here at MennoMedia. 🙂 But I didn\’t know they had a Facebook page. I\’m on it now! 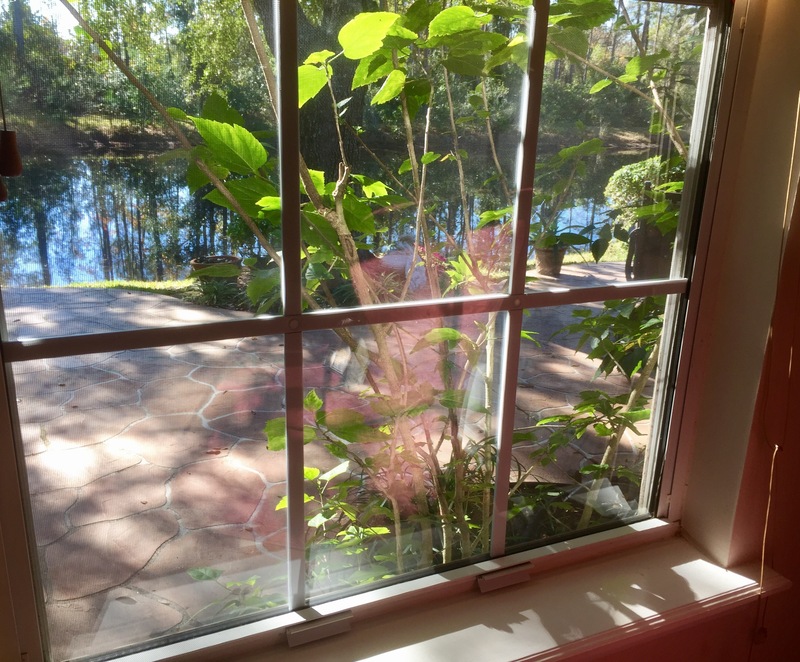 Love your clean windows! I\’m sure that was a great gift to yourselves. I hear your excitement, Melodie. Maybe the Budget\’s Facebook page will provide more fodder for your writing. I\’ve been away from Mennonite land since the late 1960s, so I have some catching up to do. Thanks to Joe Schrock walking through my door, I\’m enlightened now. 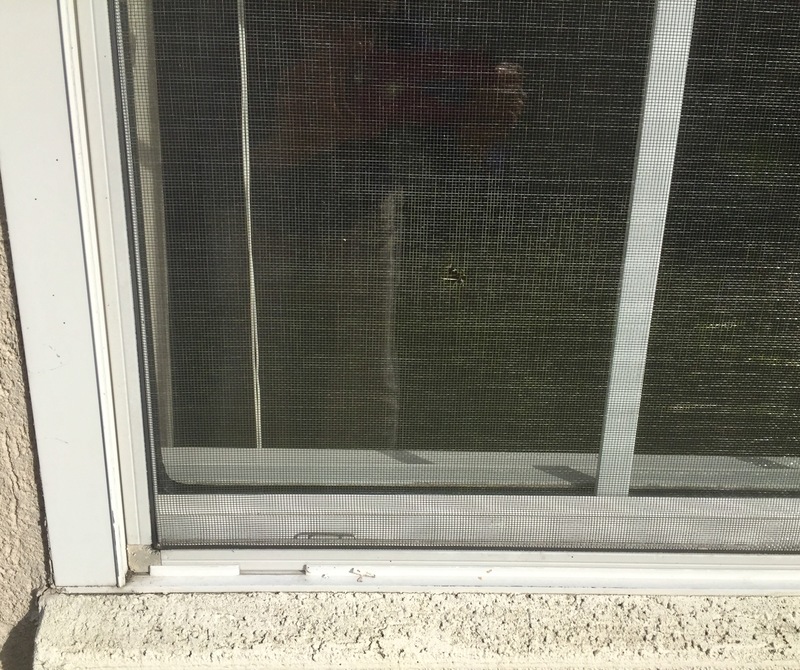 In August, just after we moved in, one of my friends remarked that I could see better if my windows were washed; it\’s taken me this long to get around to it. (I wasn\’t offended – she means well!) Yes, I can see the lake much better and probably hear the ducks quack louder, a gift indeed! Good morning, Marian! I\’m picturing you looking through your sparkling, clean windows. How nice! It\’s so much fun when you meet someone who is somehow connected to you. Maybe way back his ancestors and yours knew each other. He sounds like a wonderful window washer. I think it\’s wonderful that you found out about him (opened a window, so to speak 🙂 ), and that you appreciate his work. I\’m sure he appreciates the endorsement! Before he left, I asked Joe if he needs more business. Some of my readers are locals and I would be glad to advertise for him. As you may suspect, he says he has more than he can handle and has limited his clients to those southeast of Beach Boulevard. What a guy! I can assure you, he\’ll be back to this address. Good Morning, Marian. 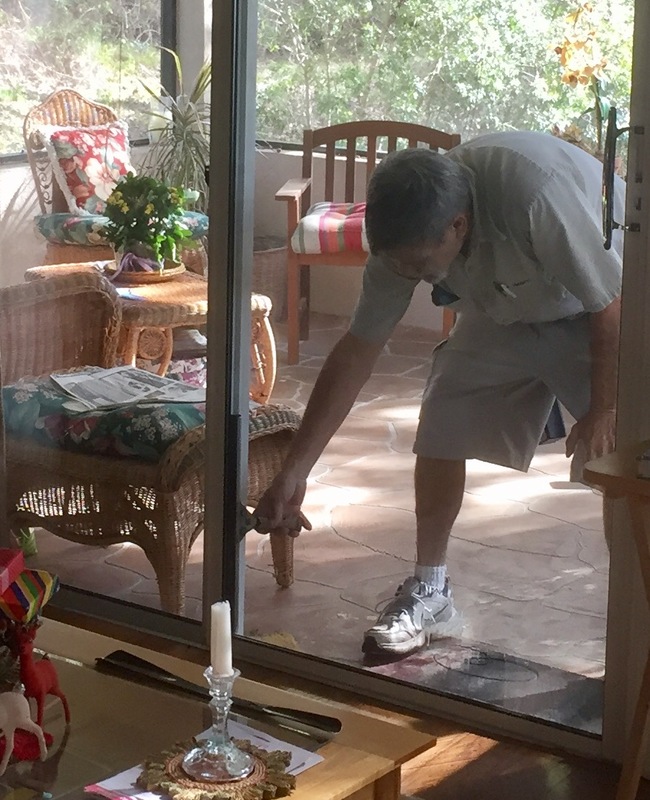 It\’s amazing how such a mundane event such as window washing could lead to so many rich connections and a perfect metaphor for starting off the new year with clear vision. I always feel better when my environment is in order and this is a perfect example. I\’d love to hire Joe for our windows! Actually, I remember a reference or two about curtains blowing in your kitchen windows in your first memoir, Ever Faithful to His Lead. 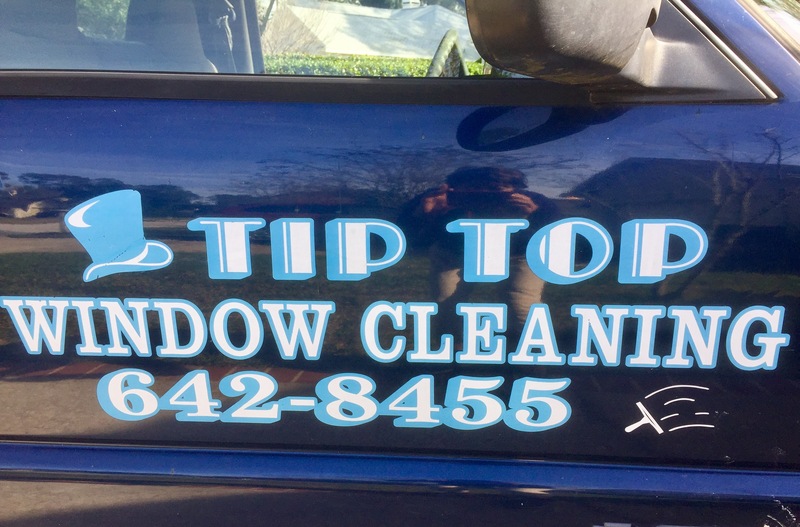 I\’ll bet those window were clean too! Sorry, I don\’t think Joe makes out-of-state house calls. Your post makes me want to get my windows cleaned, Marian. It\’s wonderful when we see things clearly, isn\’t it? Here\’s hoping for continued clear vision and a fabulous book launch, soon, very soon. I\’m so excited for you, Jill. Your windows can wait. The subtext of this message about the Mennonites and Amish is that they (often, not always) personify the values of hard work, honesty, and frugality. I just heard a lecture about the Dutch Mennonites in the 17th and 18th centuries, when what the historians call modernism was beginning, bringing with it national identities and capitalism. Max Weber, I learned, wrote a paper about how Quaker and Mennonite values aligned well with capitalism, a variation on his famous book The Protestant Ethic and the Spirit of Capitalism. Also, my neighbor Vi is writing a book about Amish women and literacy. Of course, The Budget is an important source for her. I\’ll put you two in touch with each other. Thank you for bringing the scholarly perspective to this post, strengthened by your Mennonite identity. I appreciate too your willingness to contact your neighbor. Vi Dutcher and I are acquaintances on Facebook. She may still be English department chair at EMU, but I know her mostly from her recent travels. I love the twists and turns our conversations take in this space. And you are an important part of it. Thanks again, Shirley! Your windows, which I\’ve seen, offer a wide vista of the Alleghenys, but like several of ours that face the lake, require cleaning. I\’m glad this post provided the inspiration for getting the job done. May you find a Joe Schrock. 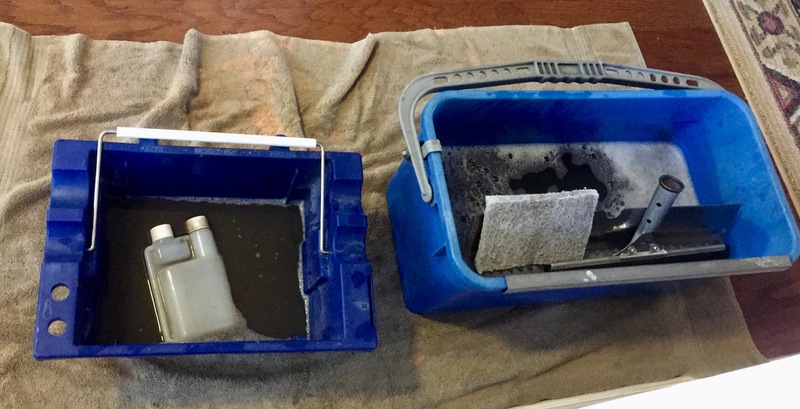 Maybe your students have connections to a thrifty/efficient window cleaner . . .
What a bonus, to have clean windows and have them done by a fellow Mennonite. My sister gave us a Christmas present–someone coming to shovel the snow on our driveway for the month of January. That is the most thoughtful gift I have received, especially since the snowfall was especially heavy and I had a bad cold. What a thoughtful sister you have. Such a gift is worth far more than a trinket wrapped up in a bow! A few days ago our son made an adjustment on the stopper in a bathroom wash-bowl. He took less than 5 minutes, but what a difference it made, and no out-of-pocket expense either. Thanks, Elfrieda! I hope you are feeling better these days. Yes, thankfully it lasted only a few days. Crushed garlic, lemon juice and warm water concoction twice a day seems to have done the trick! I have heard of the healthful benefits of garlic. Lemon juice would soften its sharp taste with maybe a dab of honey. I\’ll have to post this somewhere, maybe inside the medicine cabinet. Probably other readers will take note of your tip too – thanks! Hi Marian, I don\’t think about cleaning windows in January here in cold PA. but glad you could find a good guy to do the job. We sometimes joke about the Mennonite and Amish work ethic but I think it is an OKAY thing. Amish still carry a strong work ethic maybe more than Mennonites do. It is definitely okay – well beyond OKAY! Our mothers talked about spring cleaning for a reason. (The water would freeze on the panes in January.) I think some Mennonite women even did fall cleaning, another \”scutching up.\” I remembers some of my mother\’s friends bragging about how early they got theirs done – ha! Thanks, Shirley: Nice to hear from you again. Yes, spring and fall housecleaning were very important. Today, for me, well my cleaning gets done whenever. To be fair to our Mothers, I think their houses were harder to keep clean. When we lived at Lititz we lived in an old house. After years of remodeling and tearing out old walls and replacing with insulation and drywall we definitely had a cleaner house. Good point, Shirley. I hadn\’t thought about older houses being harder to keep clean, but they did have well-worn surfaces and lots of nooks and crannies. I have sort of a \”gasp and wipe\” approach to house-cleaning, more \”whenever\” than not. Still, after we took down decorations and the tree I felt the need for a deep clean. Ha! Joe Schrock sounds like the sort of person I like doing business with as well. It is funny how like-minded people tend to find each other. You gave him an excellent endorsement. It\’s an endorsement he doesn\’t actually need. He\’s been doing business for over 30 years now and his reputation has won him clients all over town. In fact, he has been in such demand, he has restricted himself to the area of the city south of Beach Boulevard, a major artery. Good thing I live in the right place! Nevertheless, I hope he does read this. Thanks for recognizing the quality of integrity too, Darlene. It does seem odd for an Amish newspaper to be on line but I guess time have changed. You certainly found a great window cleaner though. Worth keeping. Yes, you can be sure he is in my permanent contact list. With his kindly service and great prices, I will probably use him every year. Worth every penny and then some. Thanks for stopping in with a comment again, Marie.